I received an order for a large custom fence - about 300 lineal feet to be exact - with open-grid panels made of solid cedar. Here is some of the raw material after the initial stages of milling. Every piece of the panels was dadoed for a half-lap joint for increased strength. My small shop started filling up with parts very quickly. Next up is a short time-lapse video of a single panel being assembled. Showing about thirty minutes of work, it was one of 40 panels that had to be assembled, plus a few gates. Fence panels during installation. In order to follow the grade, we stepped the panels up as necessary, always maintaining alignment of the grids. The posts will be finished off with cedar caps painted to match, and landscaping will be used to fill in any gaps along the bottom rail. 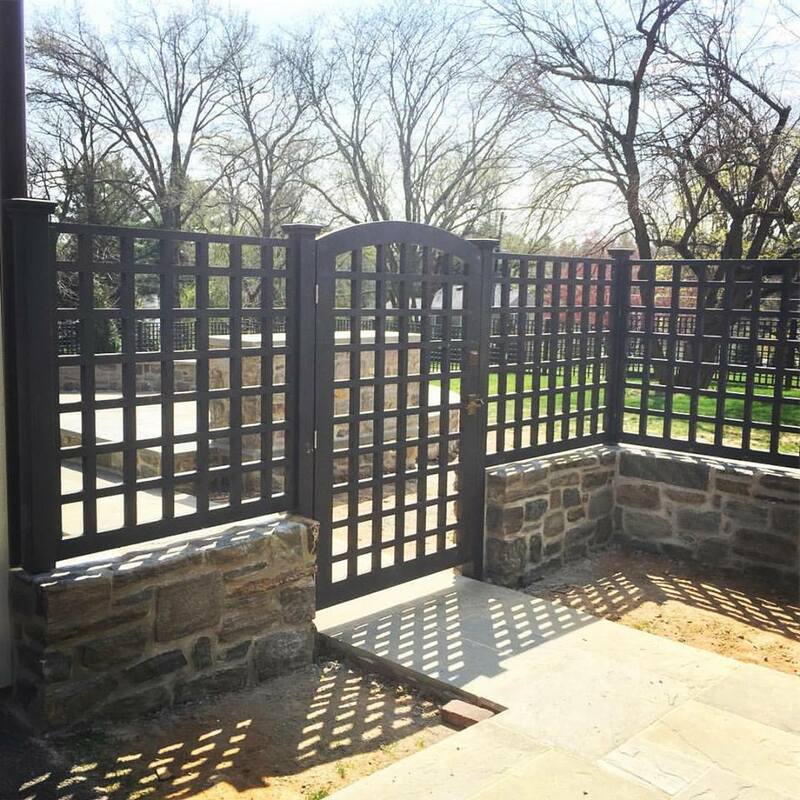 After the masons were finished with their work, I was able to come back and install the final sections of fence that sat atop the walls. An arched gate provides the main entry area to the back yard. There is another single gate on the far side of the property, along with two sets of double gates to allow mowers and other equipment into the property. All the latches and hardware were custom made by Rocky Mountain Hardware.